The free fall simulator experience will let you try acrobatic tricks as if you were really up in the air. Instructors will give you tips on how to tame the air flow and maybe next time you´ll go for the real skydiving experience.Want to try? Order your own skydiving simulator experience. Drive a tank, military fighting vehicles or fighter jets. 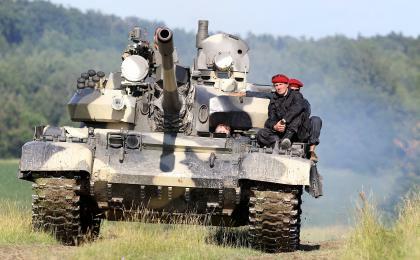 Everything is possible with ActiveCzech.com including special army experience days for kids and families.Want to try? Order your military driving experience. 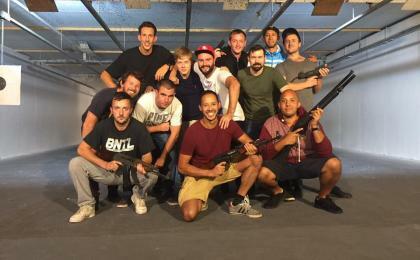 Prague is a paradise for paintball, airsoft and laser tag lovers. Choose from indoor and outdoor arenas and capture the flag.Want to try? Order your own paintball or airsoft experience. Enjoy world-class Czech beer. Nazdraví! (cheers). Want to know more? 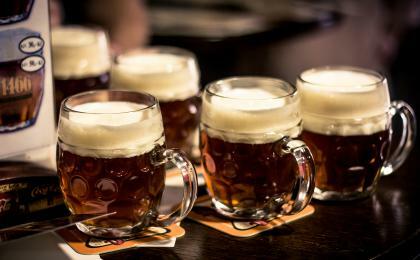 Check this Prague beer guide. Eat and have fun like in the Middle Ages in a Prague medieval tavern. Speak with your mouth full, throw bones over your shoulder and maybe provoke a pub fight.Want to try? Order your medieval feast experience. Enjoy local cuisine in Czech pubs and gourmet restaurants. Have you tried our beer tour yet? Explore Prague´s shooting ranges where you can try the aim of rifles, pistols, revolvers and even historical firearms. Blow off steam before heading for yet another Old Town monument.Want to try? Order your own shooting range experience. Are you a foodie, an amatuer cook or you just like to explore what other nations like to munch on? Sign up for a cooking course focusing on Czech traditional dishes. Want to try? Order your own Czech cuisine cooking course. Spice up your stay in Prague with original adrenaline and sports activities. Prague is a paintball and airsoft Mecca, a sought-aftergeocaching area and of course a place, whereescape room games meet with the magical atmosphere of old Prague.The well-known golden Czech hands also have a soft spot for making simulators of all kind - free fall simulators, helicopter and jumbo jet simulatorsand much more. Shooting fans may also explore one of Prague´s shooting ranges or special experiences focusing on historical firearms and funny shooting galleries from the 1st Republic period.A true hidden treasure is thePrague´s underground, where you can walk through old tunnels or modern-day collectors while the usual hustle and bustle takes place above your head. 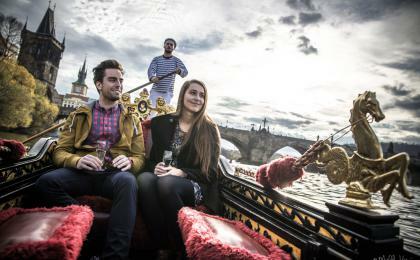 Prague and its vicinity are a true eldorado for military experience lovers. The former military area of Milovice invites you to drive a tank and other military fighting vehicles.There are also plenty of racing circuits and off road tracks, where you can try to drive a wide range of vehicles - from supercars to off road trucks.Adventure is hiding in Prague´s air too - go for a sightseeing flight if you prefer just to observe the landscape, orfly a plane yourself under the guidance of skilled instructors. After all this adventure one would like to grab something to eat. Prague offers not only traditional Czech pubs and gourmet restaurants, but alsothemed dinner parties and banquets - medieval taverns, were you can feast on authentic medieval recipes, wine cellars under historical Old Town houses and evensecret pop-up bars, whose addresses are discreetly spread using social media.This might be a surprise for you, but Prague has also its “Little Saigon”. This Vietnamese community center is to be found in the suburbs called Písnice and you´ll be delighted by the authentic taste of Phở or Bún chả thousands of miles from Southeast Asia. Of course you can relax after an adventurous day with a classic Thai massage, but a relaxing experience inspired by the beverage that Czechs love the most will be something truly unforgettable. Enjoy a beer spa that purifies your body from toxins and draw beer from a tap that is right in your bath at the same time. Now isn´t that a cool and tasty way to end your day in Prague?